Jtime9 Vintage Watches-Longines, Mido, Tissot, Hamilton, Eterna, Zodiac, Certina, Bucherer, etc. 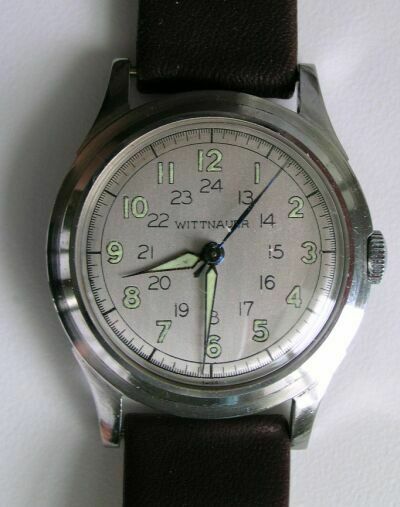 WITTNAUER calibre 11ES (ETA 1081) manual wind. The movement number is 4555XXX, the dial has been refinished, it has military time numbers on the inside of the hour symbols. 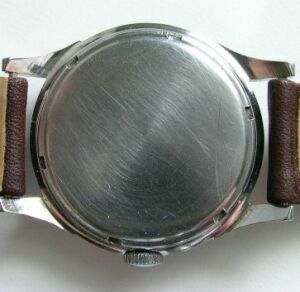 The watch was completely cleaned and adjusted, the case is stainless steel, it has a new strap. Case is 34mm, lugs 16mm. 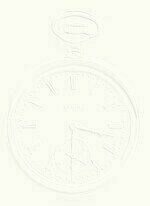 Silver colored dial, blued sweep seconds. Hour and minute hands and hour markers are luminous. Our camera is on the blink so we have to scan which doesn't show the colors very well.